Karate-Kagaku is a website designed as a resource for Karate-ka who wish to research their art, and also as a resource for students of Kobudo. It is not intended to be a commercial website, the small charges for the downloads are to cover professional scanning costs and website maintenance costs. 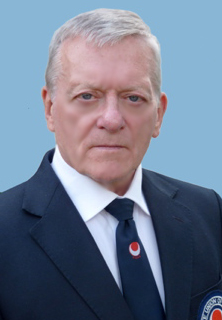 Ian MacLaren is a 5th Dan of the Karate Union of Great Britain. He is currently the KUGB Northern Region Chairman and head of Archive and Research at the KUGB. He started training in 1964 at the York Shotokan Karate Club and trained and graded with the BKF Chief Instructor, Sensei Hirokazu Kanazawa. He was a founder member of the KUGB when it was established in 1966, and has remained a committed and active member ever since. Over the years, he has been taught by many famous Japanese and British Instructors, including Sensei Keinosuke Enoeda, Katataro Takahashi, Shiro Asano, Hideo Tomita, Masao Kawasoe, Taiji Kase, Hiroshi Shirai, Masatoshi Nakayama, Katsunori Tsuyama Yukuchi Tabata, Andy Sherry, Terry O'Neill, Bob Poynton, Steve Cattle, Billy Higgins, Bob Rhodes, Frank Brennan, Ticky Donovan and Dave Hazzard. Working as a Ministry of Defence Civil Servant, he was attached to the Army HQ at York and deployed with the Division on major exercises to BAOR and other overseas locations throughout his career. He retired from the MoD in 2008. A motor car accident in 1968 damaged his right hip and knee, and put paid to his competition hopes. He continued to enthusiastically train, and at the same time, started to study Kobudo and also started a lifelong research project into Karate. In 1986 he had his right knee repaired with the pioneering use of Carbon Fibre Ligaments, and in 2001 he had his damaged right hip repaired with the new Birmingham Hip Resurfacing technique. His study of traditional Okinawan Weaponry has also resulted in him being taught by many famous weapon masters, including Teruo Hayashi, Ryusho Sakagami and Kiyoshi Yamazaki. He is the senior instructor at Torashin Karate Club and regularly teaches Bo-Jutsu throughout the UK. A large part of the material will be in Japanese. Although we have translated many of these documents, translation from Kanji to English is very subjective, and no two translators will arrive at exactly the same wording in English. It is therefore better to let serious researchers do their own translations and reach their own conclusions on the meaning of the text. Karate Union of Great Britain (KUGB) - Britain's largest Shotokan Karate Organisation. Hawaii Karate Museum - An excellent collection of rare Karate materials.